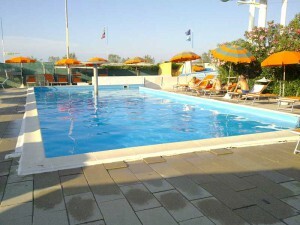 Emma Nord is a 3 star Hotel located in Rivabella of Rimini, just 50 meters from the sea in a central and quiet area. The structure is provided with every comfort and, being family run, offers first- class hospitality and service, as well as an excellent restaurant service; guests can consider the possibility of staying on half board, full board or bed and buffet breakfast. 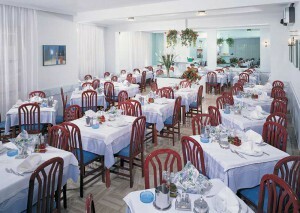 Hotel 3 Stelle Emma Nord Rivabella The cuisine of the 3 star Emma Hotel Rivabella offers a variety of meat and fish dishes, with the daily possibility to choose between 3 menus for lunch and dinner; for breakfast the hotel offers a buffet with a wide choice. The structure of the 3 star Emma Hotel Rivabella is located in a strategic area, close to entertainments, sports, theme, water and amusement parks, and is therefore ideal for the stay both of families with children and young people in search of relaxation and fun.